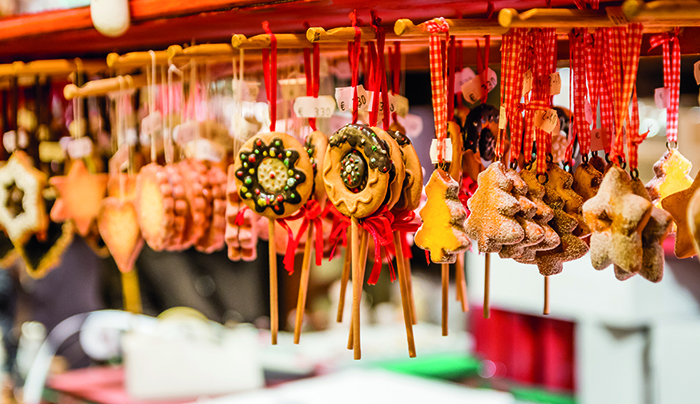 There’s no better way of getting into the festive spirit than by checking out some traditional markets – especially in Europe. So whether you fancy doing a bit of gift shopping or simply enjoying the seasonal cheer, here you will find the best river cruises to get you in the Christmas mood. Sail into the snow-covered splendour of Switzerland on a Rhine river cruise. The Jura Mountains rise in the distance as you arrive in Basel at the end of an eight-day trip from Amsterdam on board sleek, contemporary Scenic Opal. 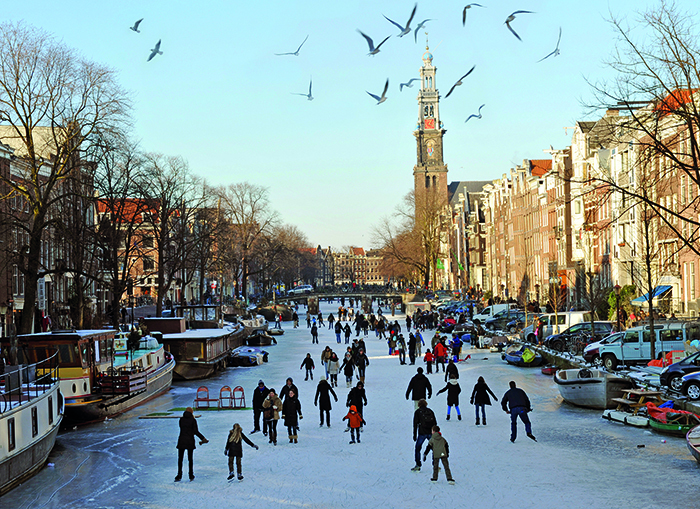 Scenic’s 2018 voyage includes an overnight stay in Amsterdam with plenty of time to enjoy the dazzling 65ft tree outside the Royal Palace, the Ice Village market and the Winter Plaza ice rink. You’ll also visit Strasbourg, Cologne and Koblenz, and enjoy a classical concert in Rüdesheim. Departs 5 December 2018, from £1,670pp, all-inclusive with flights (0808 149 6493; scenic.co.uk). During the busy festive season you might not have time for a full-length holiday, so a five-day break could be perfect. 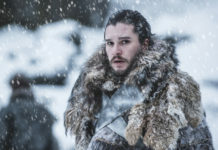 Riviera Travel offers a number of Enchanting Rhine & Yuletide Markets sailings in December on three ships with classic British names that simply conjure up candlelight and Christmas trees – Oscar Wilde, Emily Brontë and Thomas Hardy, the latter pair launched in 2017. The round trip from Cologne takes in all the sights in the 2,000-year-old city, including its seven themed markets, Frankfurt (its 600-year-old Christmas market is one of the oldest in Europe), Koblenz (rich with the scent of roasting chestnuts), and Rüdesheim (warm up as you browse the stalls with a traditional coffee pepped up with local Asbach brandy and whipped cream). Departs regularly from 1 December, from £549pp, including Eurostar travel from London St Pancras International (01283 888443; rivieratravel.co.uk). 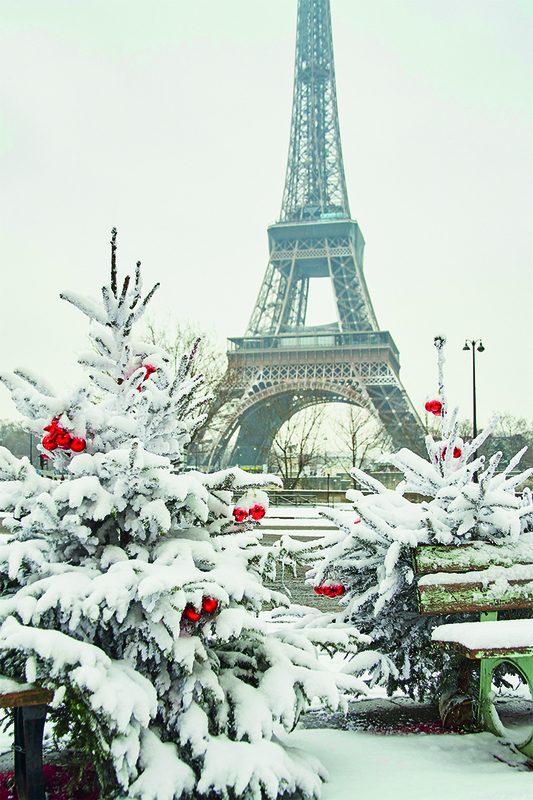 See Christmas through the eyes of the French aristocracy with Uniworld’s eight-day Parisian Royal Holiday. The round trip from Paris (where you spend three nights) includes a guided tour that lets you marvel at the grand Christmas tree at Notre Dame and the gloriously lit trees lining the Champs-Élysées. There are four exclusive châteaux visits, including a private tour of Versailles and a cocktail reception hosted by the owners of 17th-century Château de Vaux-le-Vicomte. Sip hot cider in medieval Rouen’s Marché de Noël and revel in a choir recital in the magnificent cathedral. Life on board the line’s newest ship S.S. Joie de Vivre, with its extravagant décor, follows the same pattern with a gala Christmas dinner. 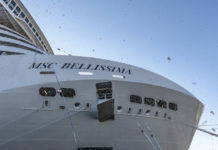 Departs regularly from 6 December, from £2,249pp all-inclusive (0808 281 1125; uniworld.com). 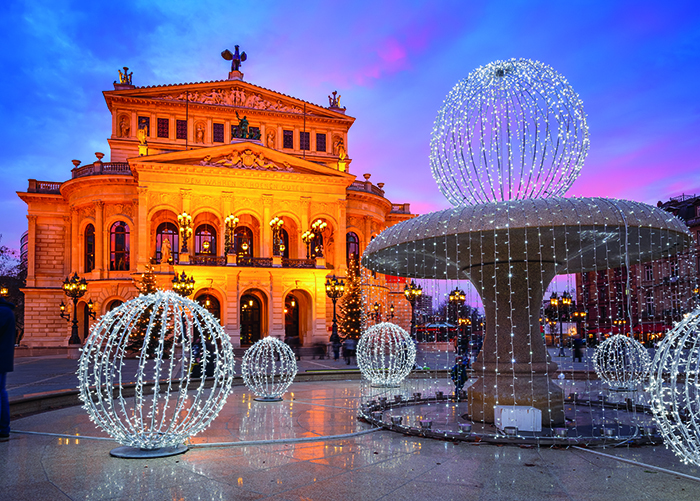 This Christmas in the Heart of Germany itinerary from Avalon Cruises in 2018 combines a Rhine voyage with two nights in Prague. The 1,200-year-old Czech capital is a perfect backdrop for the seasonal good will, not least Wenceslas Square, a vast horse market from the Middle Ages with its horse-borne statue of Saint Wenceslas, who was murdered 1,000 years ago. The market here is fabulous, as are others on Old Town Square and at Prague Castle. 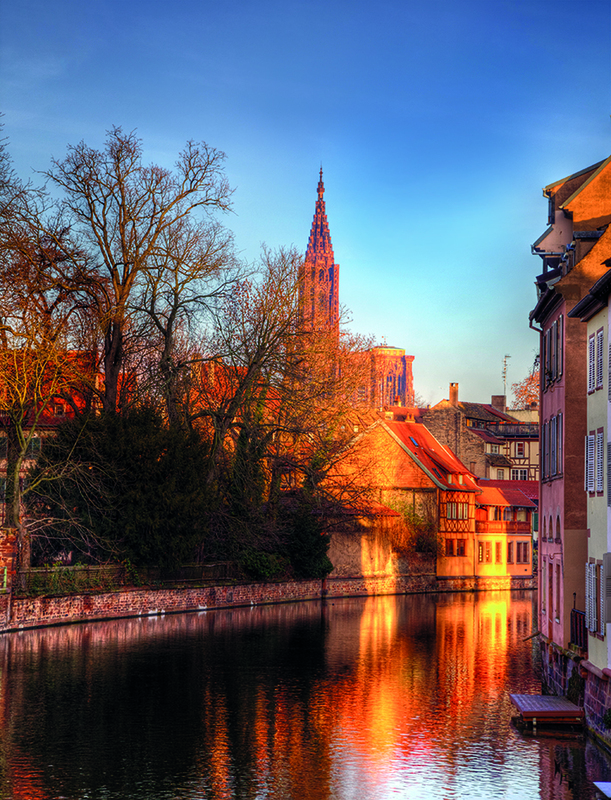 The cruise departs from Nuremberg (where you can explore the old town and its market selling traditional spicy gingerbread) and sails to Frankfurt, taking in pretty Bamberg and Würzburg. The trip, on one of Avalon’s spacious Suite Ships, even includes a lecture on European Christmas traditions. Departs 5 December 2018, from £1,508pp with flights (0800 668 1843; avaloncruises.co.uk). Enjoy the traditional mulled wine and gingerbread at the market outside the old town hall in the handsome German town of Speyer (taking a free walking tour, too) on Christmas Eve, then spend Christmas Day itself in France, exploring picturesque Strasbourg. The eight-day Christmas on the Rhine round trip from Cologne, sailing on board MS Serenade 1 with Titan, also visits the pretty medieval cities of Mainz and Koblenz with their own markets. The party never ends with a Captain’s Christmas Eve gala dinner and Christmas Day gala lunch. 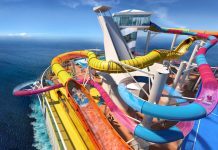 Departs 21 December, from £1,449pp including flights and door-to-door travel service so that you don’t have to carry all those presents home from the airport (0808 163 6217; titantravel.co.uk/cruiseinternational). See the full spectrum of the festive season from the North Sea to Eastern Europe. Emerald Waterways’ 15-day Christmas Markets of Europe cruise for 2018 makes its stately way from Amsterdam to Budapest along a sackful of rivers – the Rhine, Main and Danube. Pass through a timeless, medieval world with calls at places such as Melk, with its Benedictine Abbey, Wurzburg, where the Bishops’ Residenz is one of Germany’s largest and most ornate Baroque palaces, all decked out in festive splendour, and the cities of Bratislava, capital of Slovakia, and Vienna, both filled with traditional Christmas markets. The trip is on one of Emerald’s Star-Ships, which has an indoor heated pool. Departs 4 December 2018, from £3,295pp, all-inclusive with flights (0808 232 0694; emeraldwaterways.co.uk). 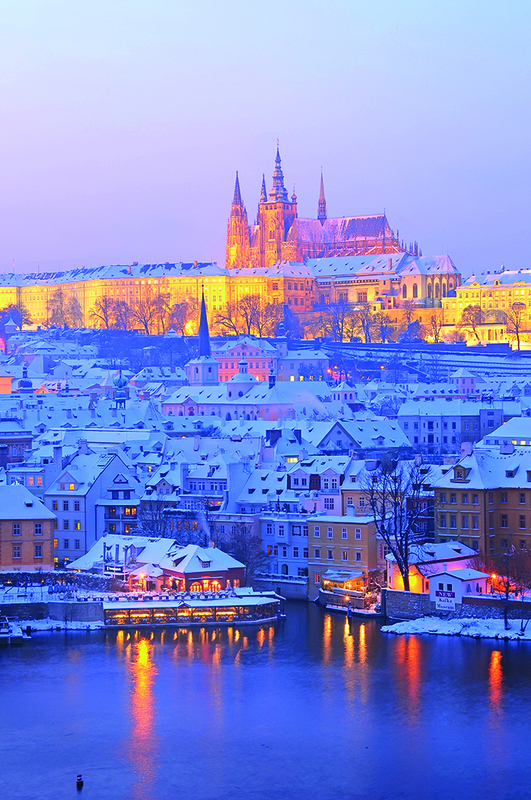 Romantic Danube, a classic itinerary from Viking River Cruises, is never more so than in the run-up to Christmas. The eight-day trip between Nuremberg and Budapest lets you take in the medieval enchantments lining the riverbanks through Germany, Austria, Slovakia and Hungary. 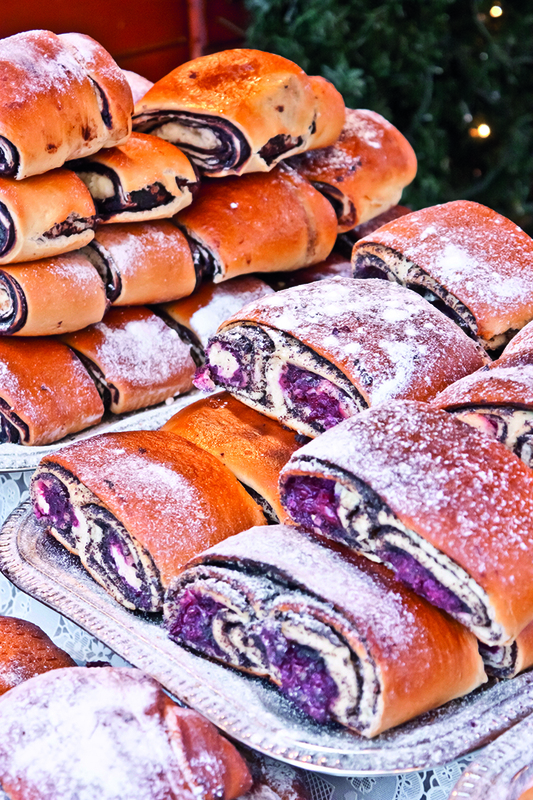 (Be sure to sample bejgli, the delicious vanilla-dusted pastries that are a Hungarian speciality). 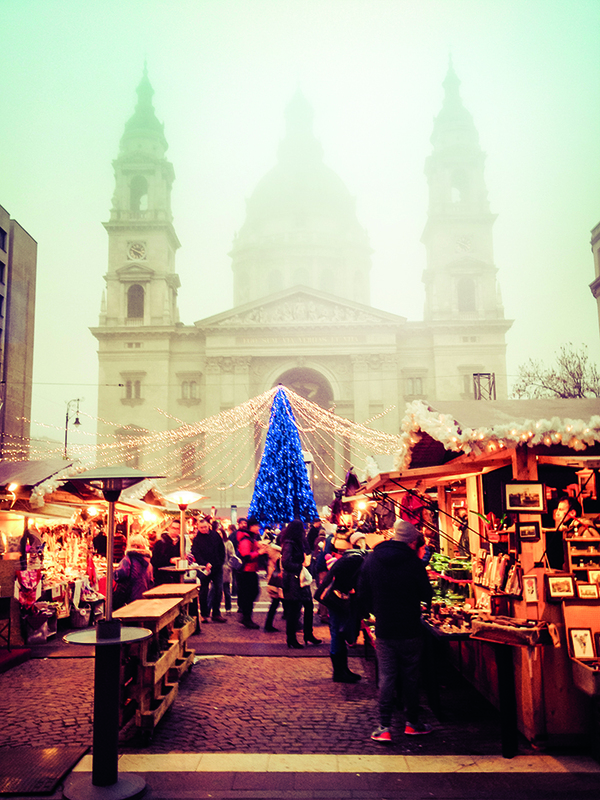 There’s also a night in Budapest so you can enjoy the food and live music at the Christmas Fair and Winter Festival. Other joys include the market in Vienna and the one at Schönbrunn Palace. Departs regularly in December 2018, from £1,045pp, including flights (0800 319 6660; vikingrivercruises.co.uk). 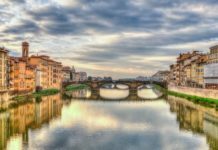 See the heart of Europe at the most evocative time of year with the Enchanting Christmas and New Year cruise. 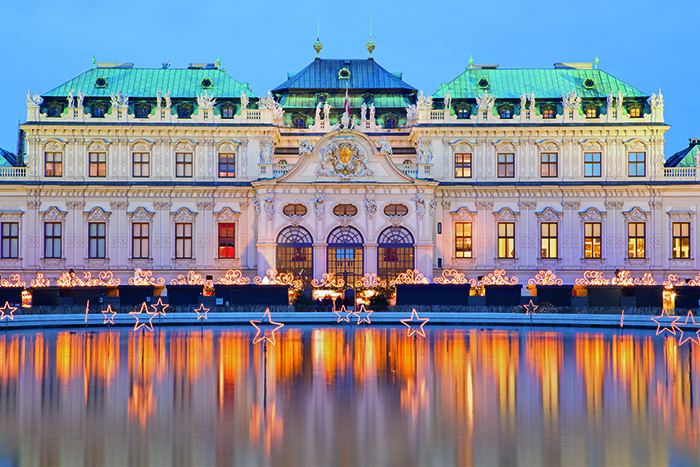 It takes in the breadth of Austria during 11 days on the Danube, from Passau to Budapest, on board S.S. Maria Theresa with its grand 18th-century décor. Christmas Eve features Passau’s market (with a gingerbread-making demonstration) followed by a festive dinner on board and Midnight Mass at St Stephan’s Cathedral in Passau. 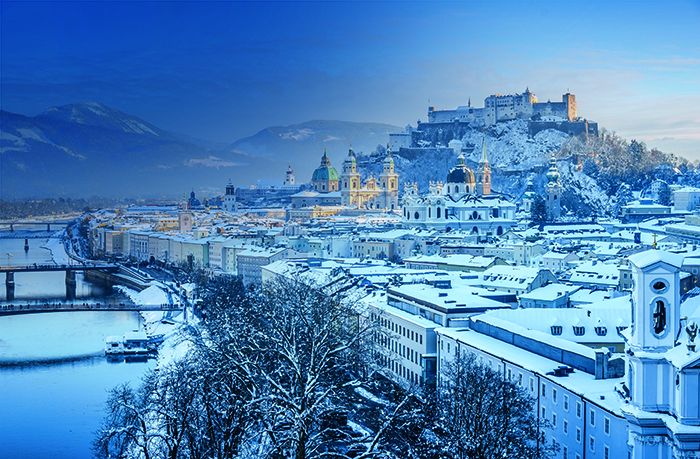 Christmas Day is a romantic dream with an included tour to Oberndorf, where Silent Night was performed for the first time, and the city of Salzburg, filled with wintery magic. 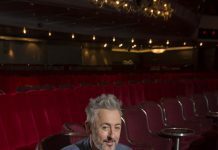 There’s also a There’s a Taste of Christmas walking tour in Vienna, while New Year’s Eve is spent in Budapest with a grand dinner and dance in an historic city ballroom. 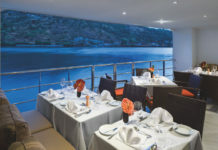 Departs 23 December, from £3,949pp, all-inclusive, cruise only (0808 281 1125; uniworld.com). Head through Switzerland and Germany (with a call in Strasbourg) on a neat four-night voyage through supremely Christmassy scenery. Avalon’s Christmastime in Alsace & Germany cruise stars with a coach ride from Zurich to Basel ready for a cruise to Wiesbaden. Visit Breisach at the foot of Kaiserstuhl Mountain on the French-German border (who could resist a local cuckoo clock from the market here) and take an included excursion into the Black Forest and the elegant university city of Heidelberg, its hilltop castle with an ice rink and Christmas markets below. Strasbourg’s Christmas market is one of Europe’s oldest while the La Petite France area is full of quaint shops. The trip finishes with a coach ride to Frankfurt. 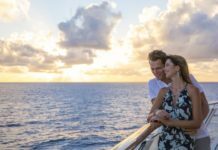 Departs 28 November 2018, from £1,510pp including wine with dinner, flights and home pick-up service (0800 668 1843; avaloncruises.co.uk).